My website is free from tracking and adverts, and I treat your personal data like I'd you to treat mine. This website uses only functional cookies - that is, harmless cookies necessary for this website to function and which are deleted when you quit your web browser. This website doesn't track you. Even the Twitter feed on the home page and the social media icons in the navigation don't call home to any third party. Youtube videos are embedded using privacy-enhanced mode, which means that Youtube won't store information about you if you don't play the video. When you buy one or more items from my website an account is created. This account includes your name, address, e-mail address and the details of your order and is used purely for the purpose of processing your order. You will not get access to your account and the data is only used to process your order and will be deleted within 180 days (in line with Paypal's buyer protection policy). Not giving you access to your account has several advantages. In particular, it means that you won't be bothered with e-mails about activating your account (and creating a password). It also means that your personal data isn't stored on the server indefinitely - the best way to protect your data is by not keeping it longer than is necessary. That said, if you would like to have an account I'm happy to set one up - please contact me. Payments are processed via Paypal. Your Paypal password and, if you pay by debit or credit card, card details will never be seen by my website. 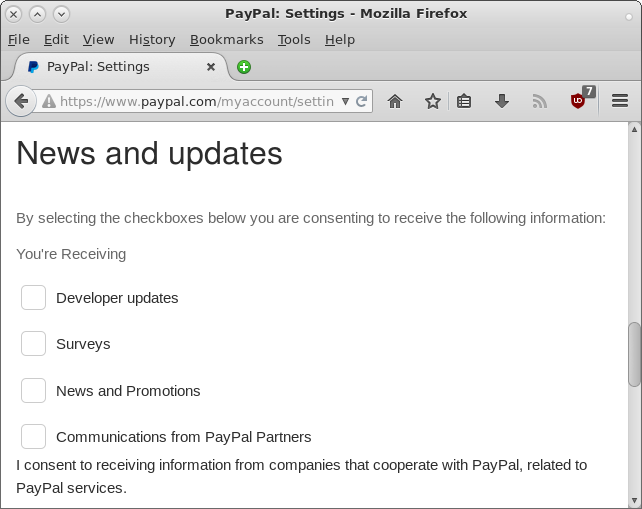 Please be aware that Paypal uses lots of cookies and tracking. 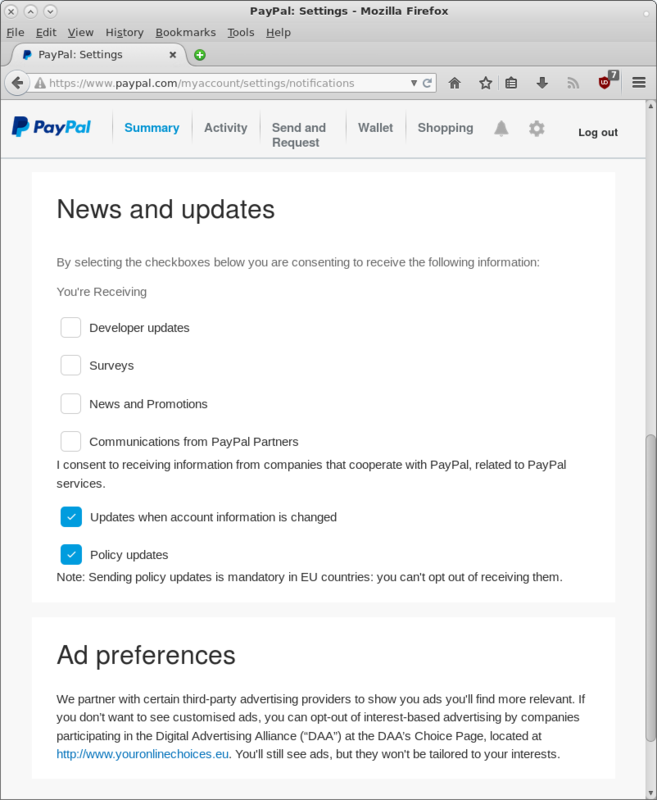 You find all the details on Paypal's privacy page. It's a very long page but the long and short of it is that they'll use your personal data for tracking and advertising. You can limit the damage by changing the privacy settings in your Paypal account. Go to your profile (the cog icon in the top-right corner) and select 'Notifications'. You'll find the spam settings under the heading "News and updates".